The March of Dimes estimates that preeclampsia is the cause of 15% of premature births in the U.S. and that the condition affects between 2% and 8% of all pregnancies around the world. Generally, preeclampsia refers to high blood pressure in a pregnant woman, which in turn can be a sign that some of her vital organs, such as her liver or her kidneys, may not be functioning as they need to. Preeclampsia can manifest itself any time after the 20th week of a pregnancy and can remain a risk for the mother for days or weeks after delivery. 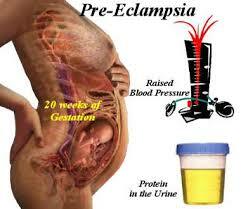 Even women who have no history of high blood pressure can be effected by preeclampsia. The risks for preeclampsia are higher for first pregnancies, teen pregnancies, and for women over 40. It is crucial to detect the signs of preeclampsia as soon as possible. Failure to treat preeclampsia can lead to liver, kidney, or brain damage to the mother. Worse, a lack of treatment can leave the mother vulnerable to eclampsia, which can lead to seizures, coma, and death. Given the numerous warning signs of preeclampsia, the condition should normally be detected if the mother is being regularly monitored and tested throughout her pregnancy. Blood pressure reading, urinalysis, blood tests, ultrasounds, and other commonly performed diagnostics should alert physicians of the risk of preeclampsia and allow them to begin a course of treatment that can minimize the dangers to mother and child. For mild cases of preeclampsia detected prior to 37 weeks of gestation, bed rest and increased monitoring are common courses of action. If the preeclampsia worsens thereafter, and in severe cases at 34 weeks and thereafter, hospitalization and induced labor are usually recommended. The child can be delivered either vaginally or by c-section. If labor isn’t induced in a mother with severe preeclampsia or other proactive steps are not taken, the dangers referred to above – and the potential damage to the health of the mother and the baby – increase significantly. Your obstetrician and the other healthcare professionals responsible for your health and well-being during your pregnancy should detect the warning signs of preeclampsia in time to begin treatment that can minimize the risks to you and your child. When they fail to do so, however, and birth injuries or injuries to the mother result, that can be an indication of medical malpractice. If you were diagnosed with preeclampsia during or shortly after your pregnancy and either you or your child suffered adverse health effects as a result, you have rights, which may include the recovery of compensation for your losses. 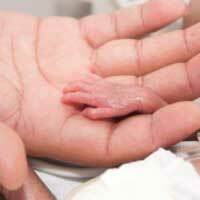 The Washington DC birth injury lawyers at The Rich Firm, PC can help. Several of our attorneys are also medical doctors who can in many cases very quickly evaluate whether your doctor was negligent, saving you the months and expenses normally associated with expert review of your case. We are committed to the well-being of our clients in Maryland, Virginia, and the Washington DC area and fight tirelessly to get them the compensation and justice they deserve. If you have questions or concerns about preeclampsia or other birth injuries, please give us a call at 888-RICH-LAW (742-4529) to set up your free consultation or contact us online. We look forward to assisting you.